Also of interest: Author Interviews and the Global Eco-Fiction series. Author Peter Heller. Used with permissions. 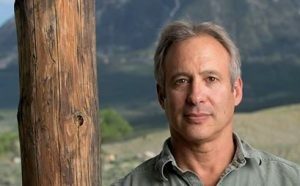 Denver resident Peter Heller is a contributor to NPR, Outside Magazine, Men’s Journal, and National Geographic Adventure. He has written literary nonfiction and fiction–and he loves the outdoors, so his writing reflects his adventures, including in Hell or High Water: Surviving Tibet’s Tsangpo River, The Whale Warriors: The Battle at the Bottom of the World to Save the Planet’s Largest Mammals, and his newest, Kook: What Surfing Taught Me about Love, Life, and Catching the Perfect Wave. See more at Heller’s website. 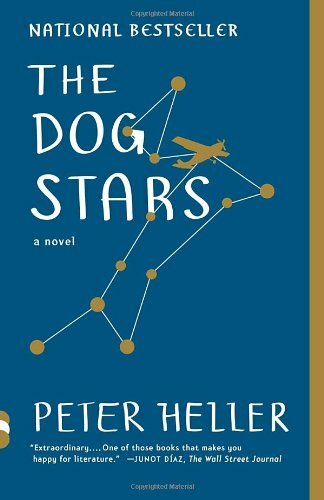 The Dog Stars was his debut novel, published in August 2012. Since then, he has also written the novels The Painter and Celine. I believe climate change and the Sixth Great Mass Extinction–which we are in the middle of, and which has been caused by us–are the stories of our time. I think about them all the time. So, when I sat down to write my first novel, they had to inform the writing and the story. Writers artistically document our times. They inform, create, entertain, and imagine. They warn and give hope. Sometimes they frighten us. They create new myths and expand on old ones. They have always reflected the changing world around us. In our Sixth Great Mass Extinction, like Heller said, come stories, and I believe that authors writing about this extinction are going through a period of unprecedented loss and reflection. To learn more about the Sixth Great Mass Extinction, see National Geographic. On Earth Day this year I took part in a panel called Climate Change and Storytelling, at the West Vancouver Public Library. Some of the main questions people asked were: How do you write about climate change in fiction, and what impacts readers the most? Is doom and gloom or cheer more effective? Authors are diverse in tackling global warming in fiction; they have their own way of storytelling–from didactic to the other end of the spectrum, not even really mentioning climate change at all. Readers are just as diverse. Some prefer science fiction. Some literary. Some like dystopia. Some can’t stomach it. 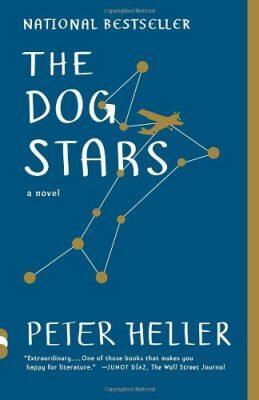 Some stories, however, may hit home with almost everyone, and when I read The Dog Stars, I felt that it was one of these types of stories. However, it is a stark novel, brutal and honest to the bone. Why Heller’s novel works so well is that it simply touches your heart, which was also our panel’s conclusions when it comes to why readers like any story, not just stories about climate change. Climate change may be a big focus in novels listed at this site, but when readers can relate to characters in the story, that’s when we get inspired. As I’ve pointed out often, impact is greater than intent. The Dog Stars weaves an interesting story of a guy named Hig and his dog who live in an abandoned airstrip, Hig’s memories of his wife and unborn child, and his relationship with a neighbor named Bangley. Other characters enter the story: a group of Mennonites nearby and a father and daughter living “at the point of no return.” This apocalyptic novel has a conversational style, making the reader feel right at home. Hig is likeable, and the reader probably will root for Hig’s continued survival–and potential romance–in his climate-changed world where many species seem to be gone and an epidemic (“The Blood”) has wiped most people off the face of the Earth. Zoom in to Hig and his world, and you get a glimpse of Heller’s concerns for our own planet. Heller has a deft writing style that captures loss well, but he is also all about cheering on the remaining wilderness. There are patches of green wood, and I am their biggest fan. Go Go Go Grow Grow Grow! That’s our fight song. The reader can also relate because this is a down-to-earth novel, despite its nods to stars and constellations–and its main character flying around in the sky. Hig’s narration is similar to how any one of us readers might be thinking in a similar situation. We understand the eclipse of his life, from the modern era to the apocalyptic afterworld where lamentation, nostalgia, and yet hope are big. 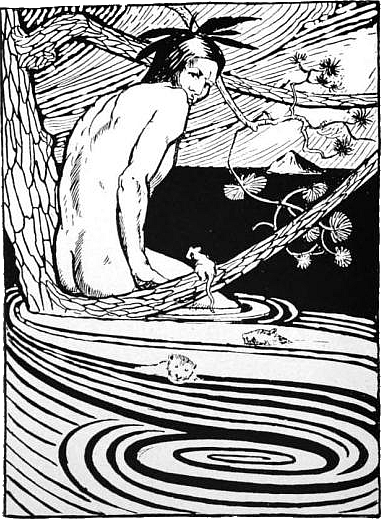 We are already starting to view similar situations found in the novel as climate change grips us in its talons and flies us toward uncertainty. Did you ever read the Bible? Check out Lamentations. That’s where we’re at, pretty much. Pretty much Lamenting. Pretty much pouring our hearts out like water. Despite such a downfall, Hig goes on, and we are left with a heartfelt, jarring read that makes this one of my favorite stories wherein climate change is a strong force. Perhaps it is Heller’s beautiful prose writing. Maybe it’s that I identify with Hig’s love of nature and his excitement when he finds it. But, mostly, The Dog Stars is about us, in all our quirks and loves and nostalgia–and our vulnerability and found-strength when it comes to how we survive disaster. 1. “What We’re Reading: Postapocalit, Love Among the Chickens,” by John Seabrook. The New Yorker, October 26, 2012. 2. “Dog Stars Dwells On The Upside Of Apocalypse,” by Jennifer Reese. NPR Books, August 7, 2012.